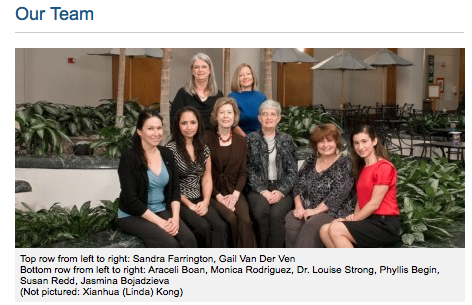 Dr. Louise Strong of MDAnderson Cancer Center in Houston, Texas has worked with LFS families for over 30 years. The LFS study collected data from over 1000 individuals from over 340 families that have LFS or Li-Fraumeni-Like Syndrome. This is not a study aimed at diagnosing LFS but rather a long term observational study with 3 main goals. -To better understand the clinical implications of having a TP53 mutation and to characterize the cancer risk. -To look at the psychosocial and ethical issues of LFS diagnosis for individuals and families as well as attitudes for genetic testing of children. -To find other/new mutations that could affect the cancer risk of those with TP53 mutations. Study Plans and Eligibility can be found HERE. These studies help the LFS community at large learn why some people get cancer, why some families get more cancers than others and if certain genes affect cancer risk. They also help find out how people are impacted psychologically by the decision to do genetic testing as well as receiving LFS test results. This help clinics better address these issues and serve the mutant community better in the future. Frequently Asked Questions about the MDA LFS Study link HERE.